666 Park Ave (ABC, Cancelled) I didn’t figure the prospects for this supernatural series were great, but it went down sooner than I expected. ABC yanked it from the schedule late Fall and will air out the remaining episodes this Summer on Saturdays. The American Horror Story (FX, Renewed for a 3rd Season) This creepy show slipped a bit in the ratings during its second season, but still did well enough for a basic cable series. A new story arc kicks off for it in Fall and expect it to scare up another renewal. 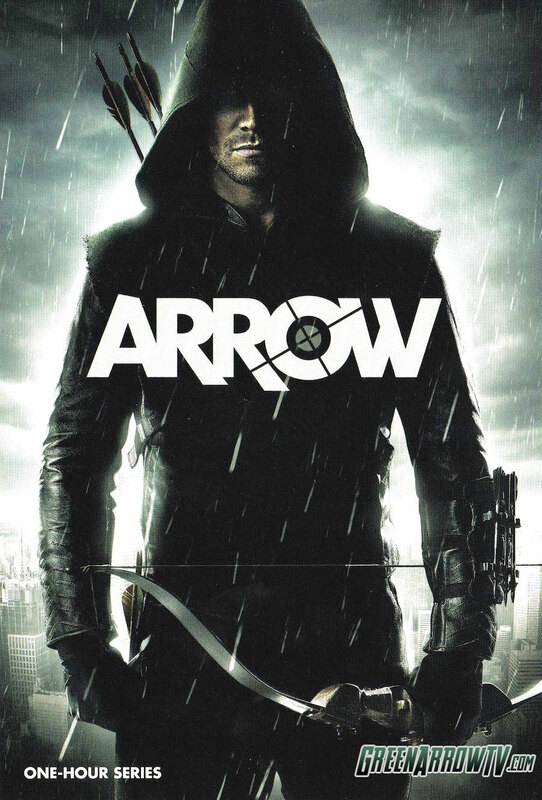 Arrow (CW, Renewed for a 2nd Season): I expected this revisionist Green Arrow series to be an even bigger hit than it was, but it still did quite nicely for the fifth place network. Expect it to stick around as long as its network remains viable. Bates Motel (A&E, Renewed for a 2nd Season): Did quite well for a basic cable series and actually managed to sustain viewer interest beyond the initial curiosity piqued by its connection to the Alfred Hitchock’s infamous Psycho. Consider this one likely to coast to another renewal. Beauty and the Beast (CW, Renewed for a 2nd Season): I figured this reboot of the late-80’s series had a better than average chance of surviving because its on the fifth place network and that’s the only thing that kept if afloat. They greenlighted a second season despite abysmal ratings but next season they throw it into a treacherous Monday night timeslot where its numbers will almost certainly drop further. It’s living on borrowed time that it won’t be able to borrow much longer. Being Human (Syfy, Renewed for a 4th Season): Like most of Syfy’s “sci fi lite” offerings (this, Haven, Warehouse 13), this one didn’t pull particularly notable ratings numbers, but enough to get another renewal. Does the end of the BBC version with its fifth season also spell the potential wrap up of the North America entry? Continuum (Syfy, Renewed for a 2nd Season): This one, like Lost Girl, relies more on its Canadian and international ratings for its renewal decisions. And it looks like it is safe for now. Cult (CW, Cancelled): I believe this one had the lowest rated premiere ever for a scripted show on the broadcast networks. And even though it aired on the fifth place network it got yanked (though it will air out its episodes this Summer on Fridays). Quite a shame because it was a quirky, interesting show that deserved better than it got. Defiance (Syfy, Renewed for a 2nd Season): Prospects for this one looked good going in and it delivered Syfy’s biggest hit in years–even if it has dropped off since its debut–and also its most sci fi show in a while. This one could become the network’s next flagship series. Do No Harm (NBC, Cancelled): I didn’t like this Jeckyll-and-Hyde show’s timeslot, but didn’t expect it to bow with the lowest rated premiere ever for a scripted series on the Big Four broadcast networks. It was yanked after two episodes, though it will air out its episodes on Saturdays this Summer. The Following (FOX, Renewed for a 2nd Season): This serial killer drama looked pretty strong going into its debut (in part because of the star power of Kevin Bacon) and it actually gave its network one of their best rated scripted shows of the year. It’s numbers dropped off when it had to contend with competition from The Voice, but it still did well enough and should continue to perform strong next season. Fringe (FOX, Final Season): Its numbers slipped even more in its final season, but it was already on its way out anyway. This was a rare case of a sci fi show that beat the odds and dodged cancellation multiple times to go out on its own terms. Game of Thrones (HBO, Renewed for a 4th Season): I expected this one to hold steady, but it has improved its numbers to become another major force for cable on Sunday nights. George R.R. Martin is targeting seven seasons for this show and it should make that goal. 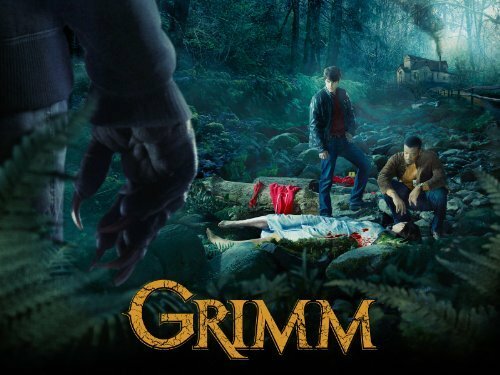 Grimm (NBC, Renewed for a 3rd Season): I expected this one to continue to do well for a Friday night show, and it definitely held strong on that night. NBC moved it to Tuesdays to finish its second season to fill a hole in the schedule, but Fridays is where it belongs and where it will return next season. Consider a fourth season pretty much a sure thing. Haven (Syfy, Renewed for a 4th Season): Another “sci fi lite” coaster for for Syfy. 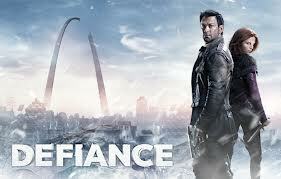 Defiance may have upped the game for that network though, so don’t consider Haven a lock for another season. Hannibal (NBC, Renewed for a 2nd Season): It debuted in a treacherous timeslot with a late season bow, so the odds were against it from the start. But it had name recognition and praise from the critics so NBC renewed it despite its shaky ratings. Now they need to move it to the Friday night post-Grimm hour next season were its prospects would improve. Last Resort (ABC, Cancelled): I didn’t like its prospects before the season began because of its timeslot and it sunk there just as expected. At least they gave it the chance to wrap up most of its storylines so that it had more of a mini-series feel to it. Lost Girl (Syfy, Renewed for a 4th Season): This one, like Continuum, relies more on its Canadian and international ratings for its renewal decisions. And it looks like it remains safe for now. The Neighbors (ABC, Renewed for a 2nd Season (! )): This aliens-among-us sitcom was my one big pre-season misfire. I thought it would disappear quickly from the schedule and I’m sure the critics would have preferred it that way. But it managed to scrape up just enough viewers to keep it going. And this coming Fall it finds itself in a low-expectation Friday berth that could keep it afloat all the way to a third season renewal. Let’s just hope that the quality improvements we saw in the finale continue to carry over into its sophomore season. Nikita (CW, Renewed for a Final Season): I believe that twenty year old repeats of Barney over on the Sprout channel rated higher than this show did in Prime Time where it only averaged a 0.4 rating in the 18-49 demo with DVR viewing factored in. Still, the show has a strong international following and The CW decided to give it a six episode final season to wrap up all of its story arcs. Once Upon A Time (ABC, Renewed for a Third Season): Started out strong in Fall, but then fell noticeably during the second half of the season. But then all network Sunday night broadcast net shows suffered (while cable entries like The Walking Dead, Game of Thrones, and The Vikings made considerable gains). It goes into Fall on tenuous footing, but then typically a third season renewal nearly guarantees a fourth season, short of a complete ratings collapse. If it avoids that, it should be good for another year. Person of Interest (CBS, Renewed for a Third Season): Ended the season as the fifth most watched show based on total viewers. But then CBS rewarded that success by kicking it to a tough Tuesday night timeslot this coming Fall. Should still be able to weather the change and survive there, though. 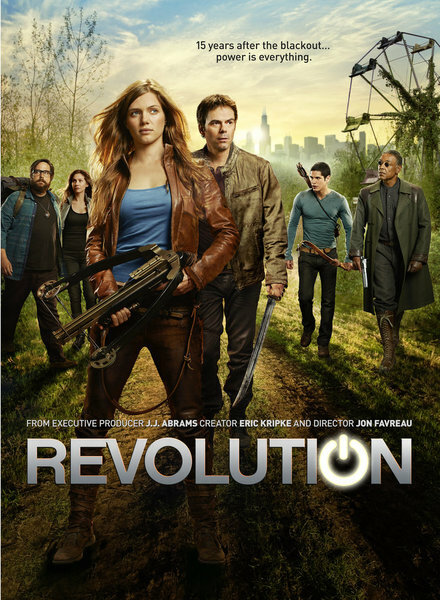 Revolution (NBC, Renewed for a Second Season): I was on the fence on this post-apocalyptic show when the season began, and even though it started strong it fell pretty far by the end of the year. And NBC is throwing it to a pretty competitive Wednesday 8 PM EST timeslot in Fall. Add to that the fact that many fans have become disillusioned with the show and its prospects for the coming season don’t look great. Supernatural (CW, Renewed for a Ninth Season): It started out in Fall somewhat shaky both ratings and quality wise. But then it improved on both considerably by season end and delivered the best ratings it has seen in a while. Look for it to challenge that ten season mark that Smallville achieved on The CW last year. Touch (FOX, Cancelled): This one really should have been cancelled after its first season, but I guess FOX thought they had a chance of salvaging it (or had a commitment to Kiefer Sutherland of at least two seasons). And even though the show tried to make some course corrections in its second year, FOX’s scheduling assured that it had no chance to survive. Vampire Diaries (CW, Renewed for a Fifth Season): What was once The CW’s banner series suffered notably in the ratings this year, but then so did all of that network’s programs. But it should still continue as one of The CW’s top rated shows into the new season, for all that really matters. 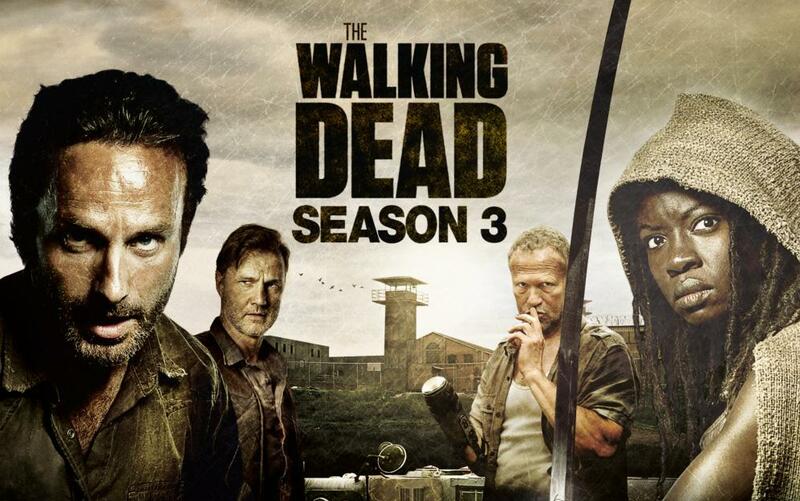 The Walking Dead (AMC, Renewed for a Fourth Season): I expected this one to do well in its third season, but damn! It ended the year as the top rated scripted show on all of television! Expect this one to stick around and I wouldn’t be surprised if a few years from now will we look back on The Walking Dead as the show that broke the back of the broadcast networks. Zero Hour (ABC, Cancelled): I expected this show to arrive DOA in its treacherous Thursday 8 PM EST timeslot, and sure enough it did. It only aired three episode before ABC yanked it, though it will air out the rest of its run on Saturdays this Summer. .